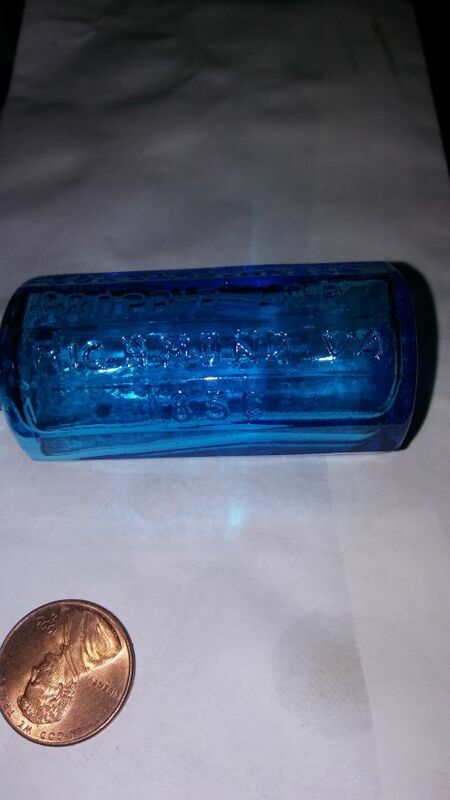 This is exactly what is written on this little blue bottle, i am trying to get any information i can about it and of cource wondering if it is worth anything ? 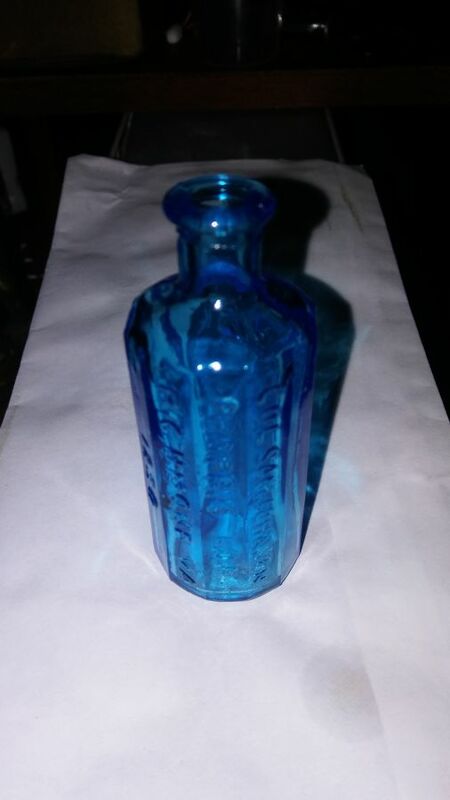 I don't like to call this a reproduction because it is not an exact copy of a 19th century original bottle. 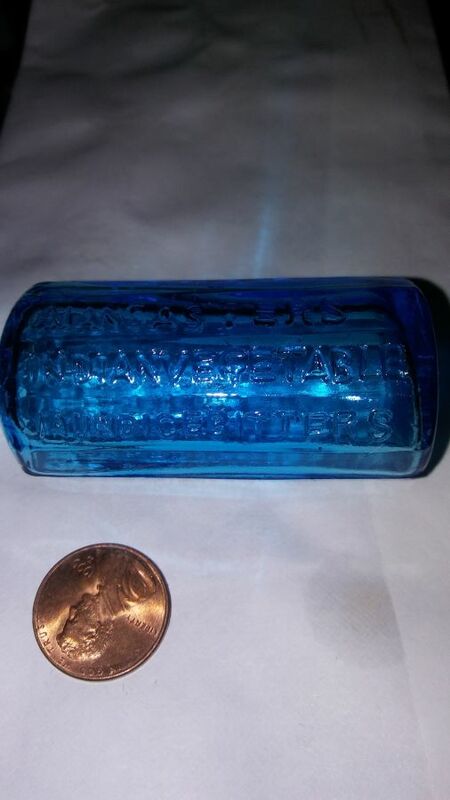 It is no doubt inspired by the ubiquitous Atwood's Vegetable Jaundice Bitters bottle from the 19th century which is of the same multi-sided shape. 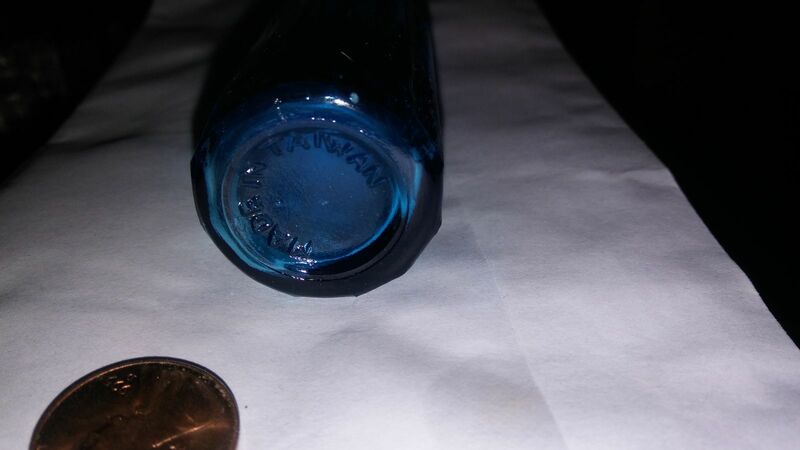 I believe Wheaton Glassworks of New Jersey first made these "imaginations" or "interpretations" in the 20th century. Then, later still, an enterprising Taiwanese manufacturer made their own interpretations of the interpretations. There are various embossing variants. Something got lost in translation. Not sure if the Taiwanese folks meant to emboss "Alan Casters" or they just screwed up trying to emboss "A. Lancaster" or maybe something else entirely. 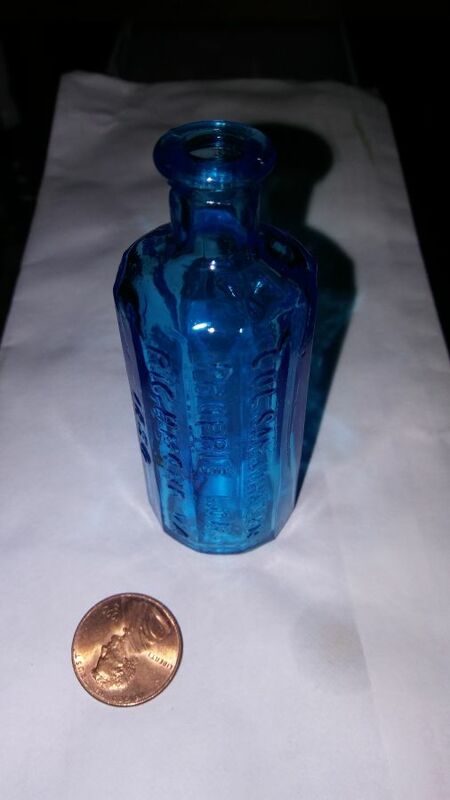 These were made as decorative bottles and remain such - no collector value but they do exchange for perhaps a dollar or two at flea markets for window decoration. 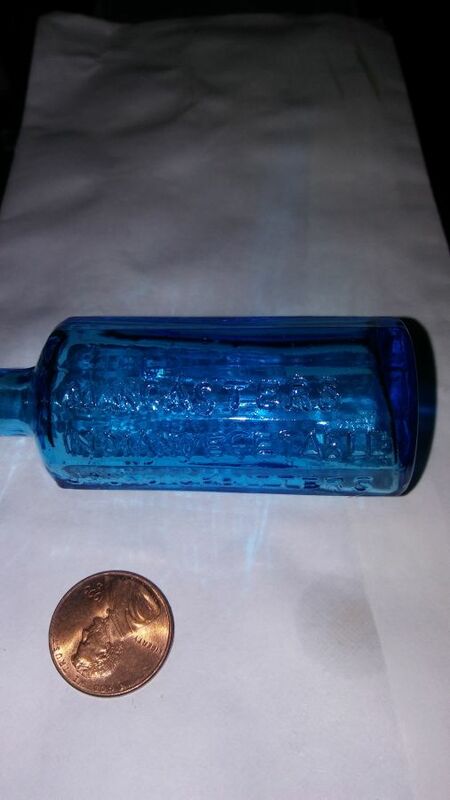 This bottle was dug up under the foundations of a home that was being remodeled ... 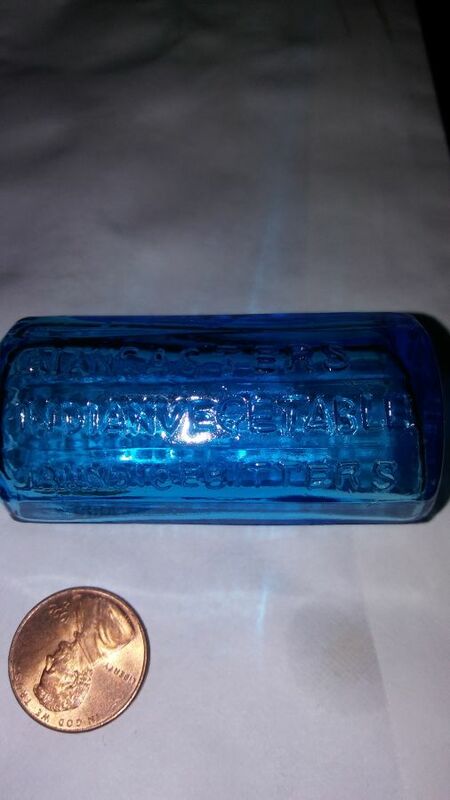 When they tore up the flooring and woodwork in the ground below was this bottle and from what i understand the home was there for 80-90 years. Does this info change anything ?? I'm sure that the new flooring is an improvement, but the bottle is still a recent import novelty.